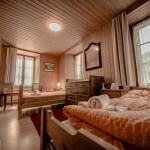 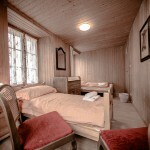 L’Auberge has many bedrooms with different capacity 2, 3, 4, 5 people. 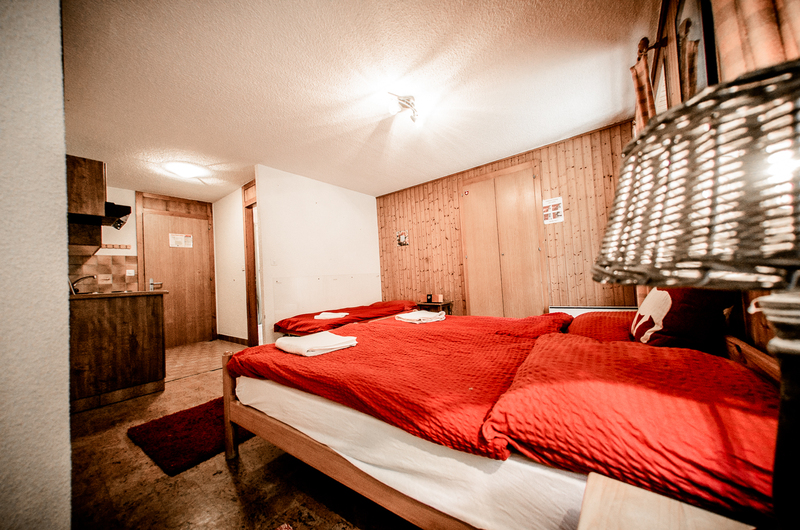 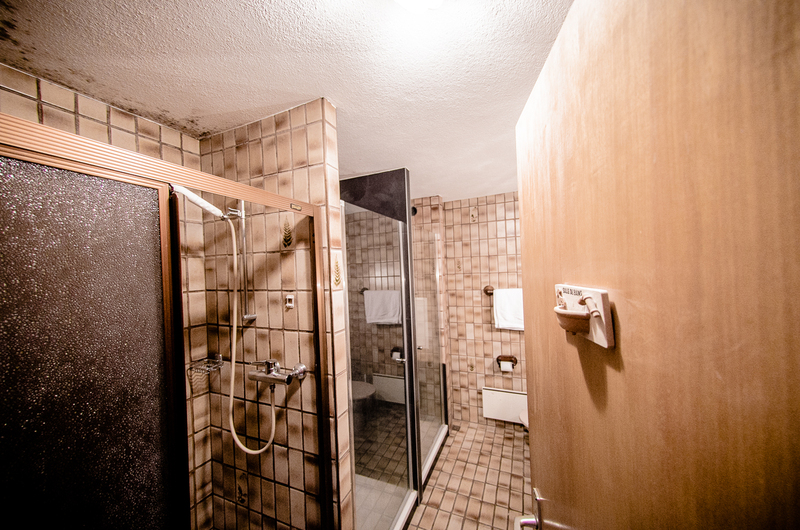 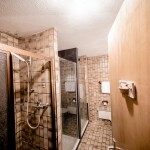 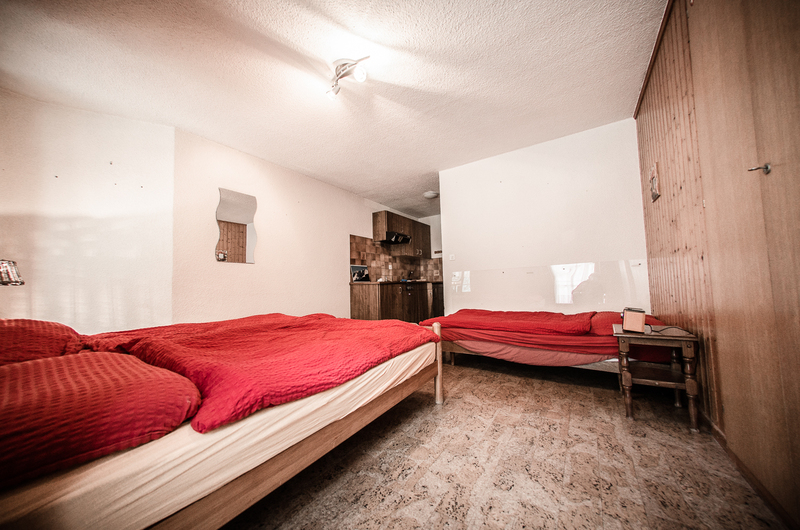 All bedrooms share communal bathrooms. 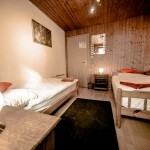 It’s also possible to book individually. 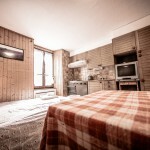 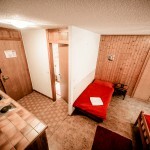 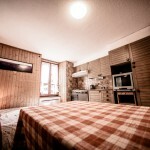 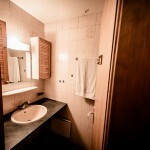 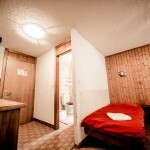 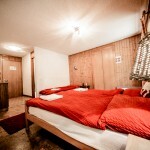 L’Auberge also offers studios for 2 or 3 places with private bathroom. 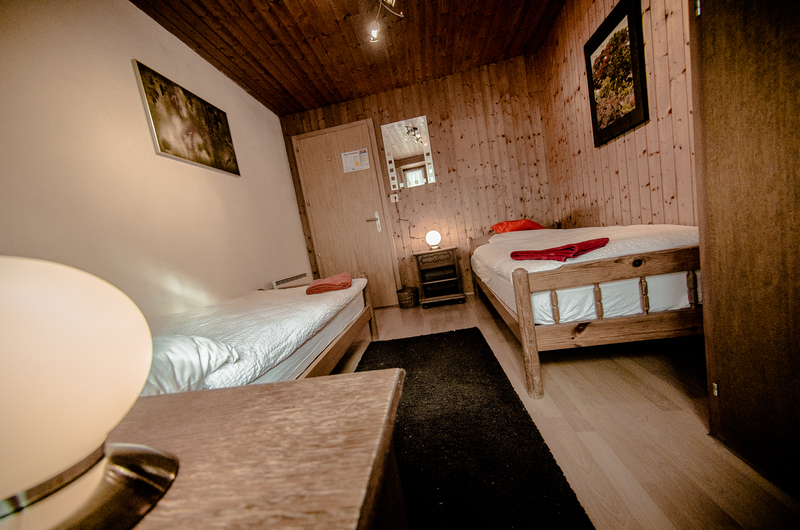 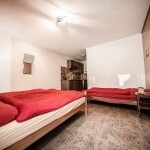 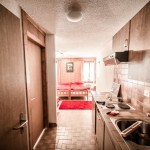 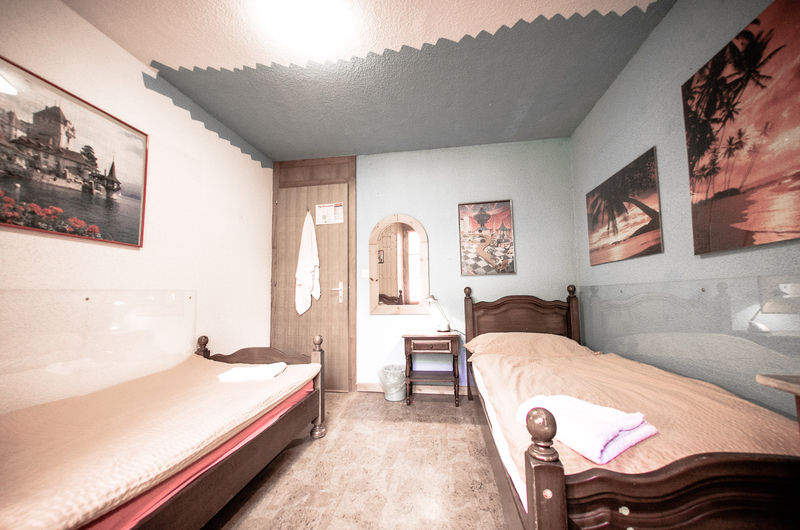 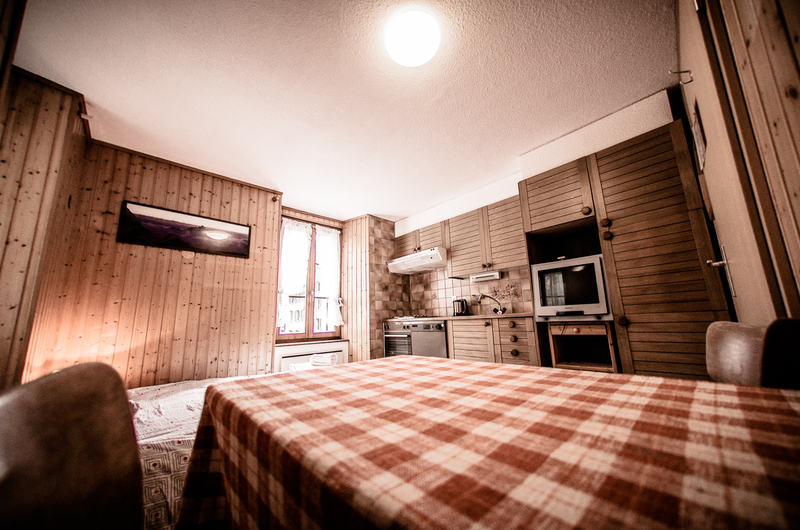 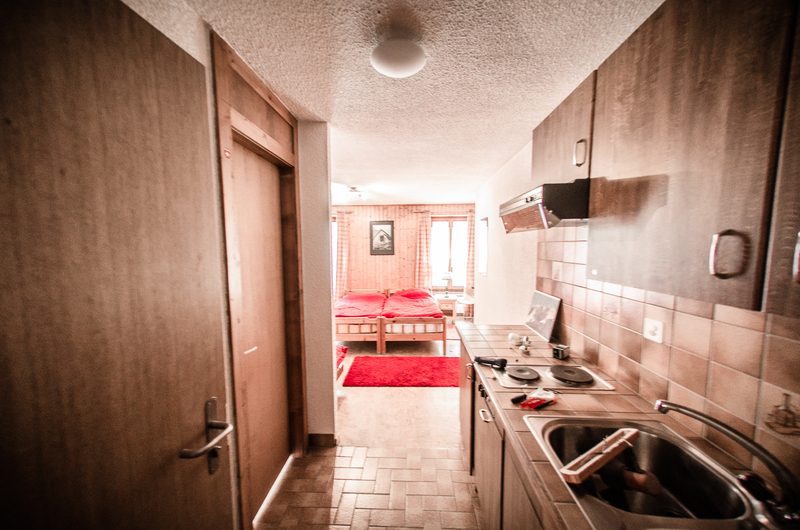 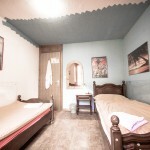 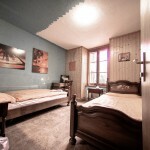 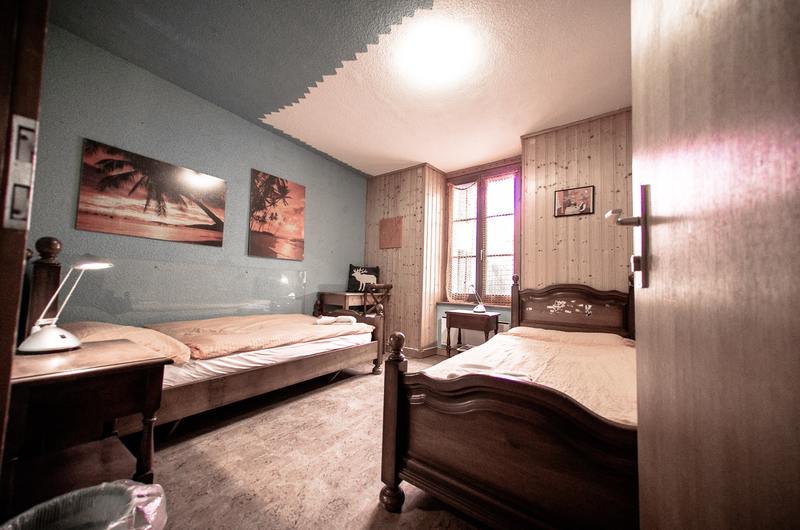 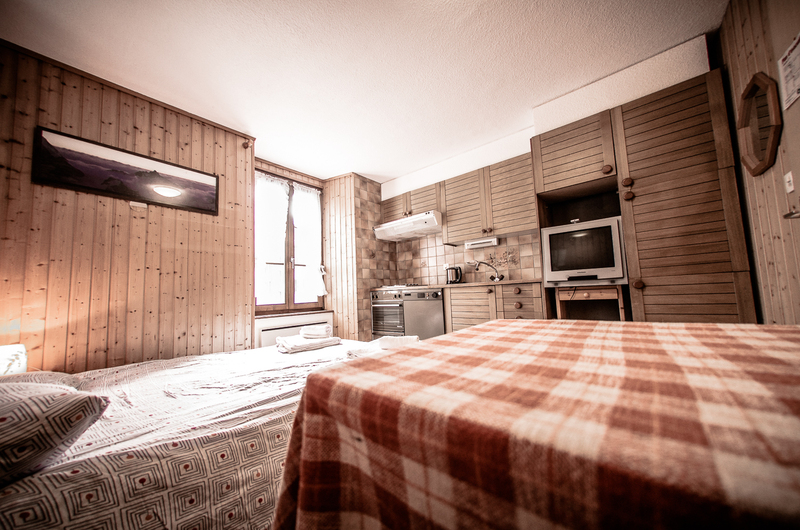 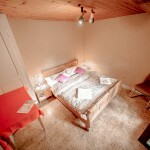 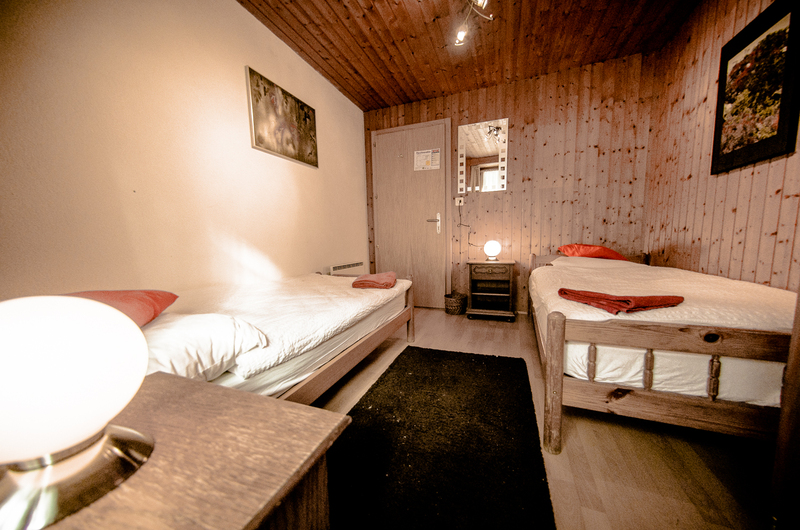 The double bedrooms are available with 1 double bed or with 2 twin beds. 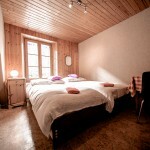 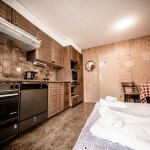 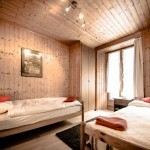 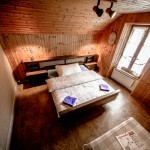 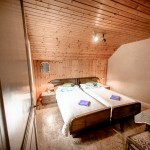 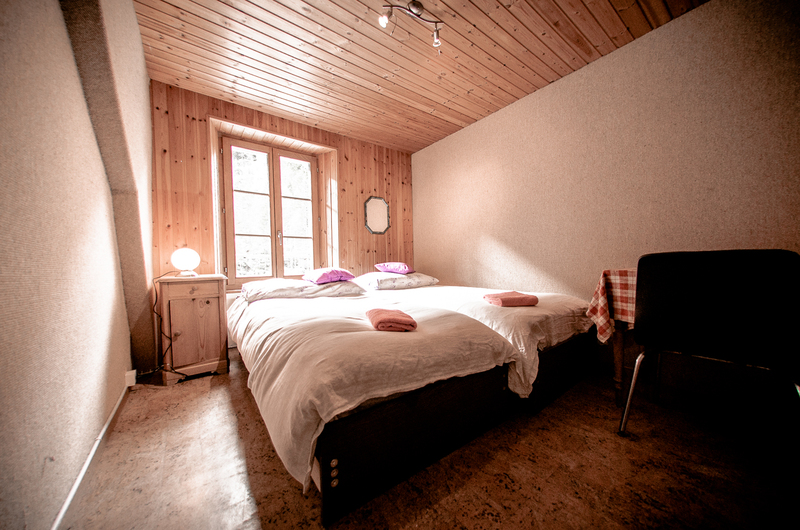 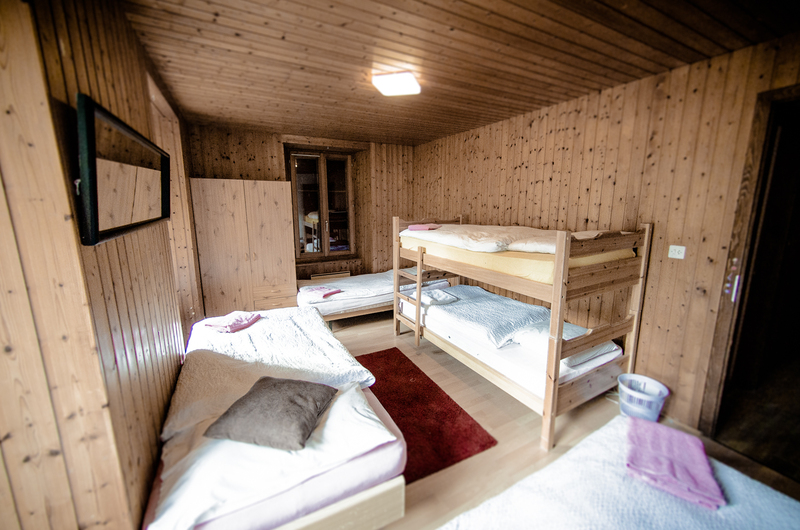 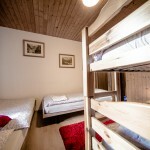 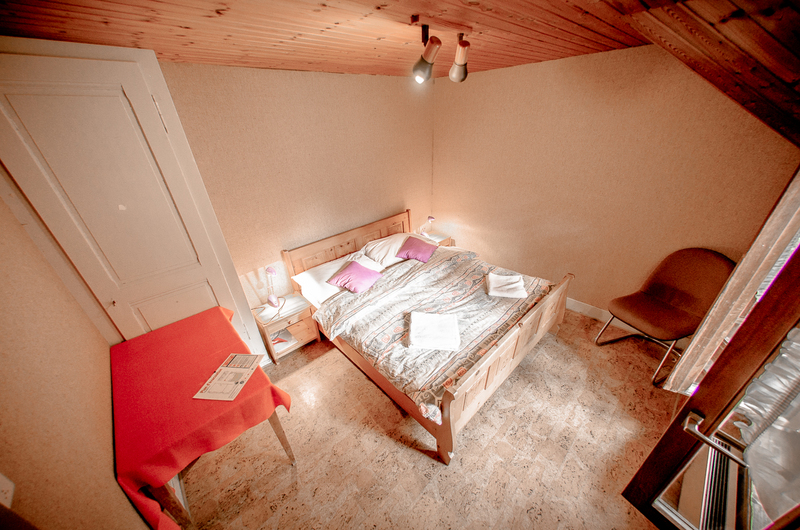 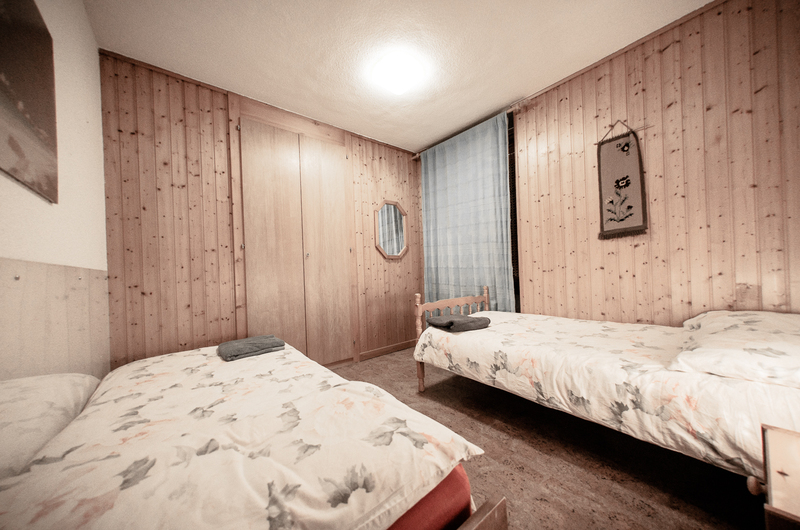 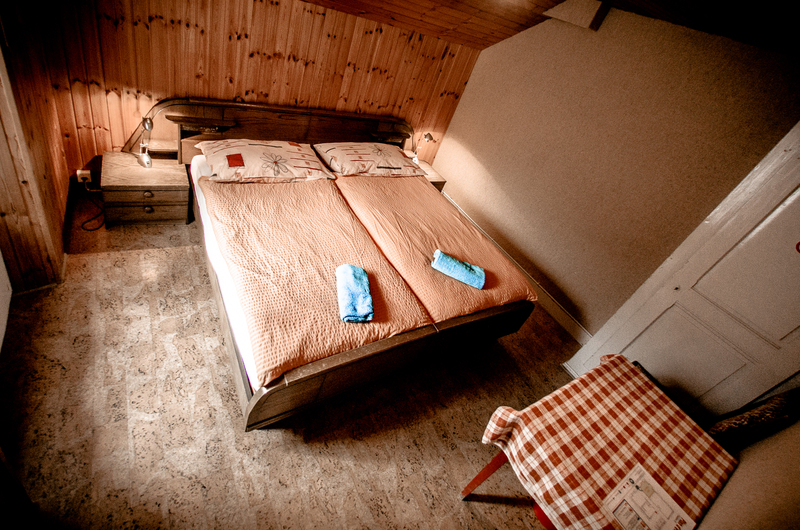 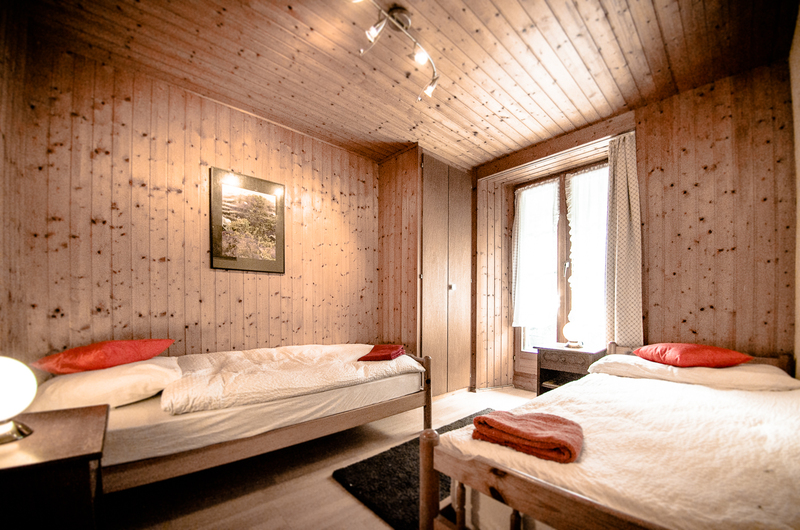 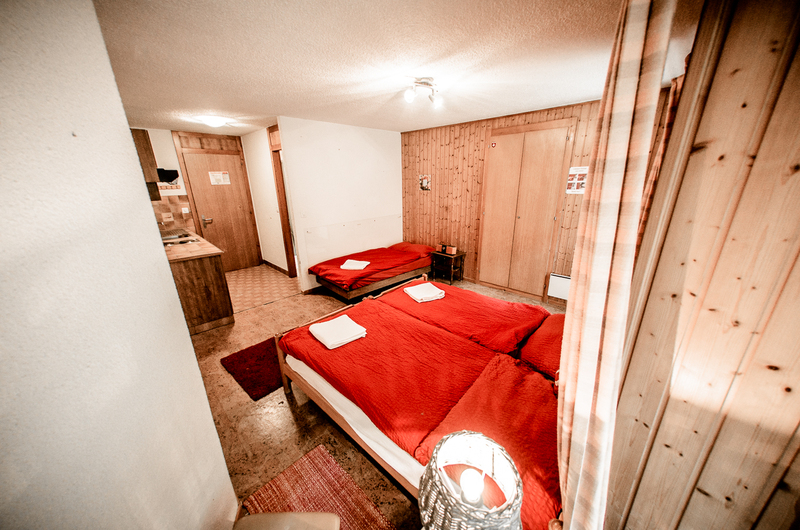 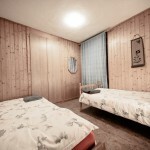 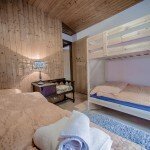 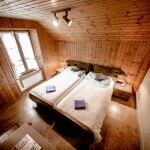 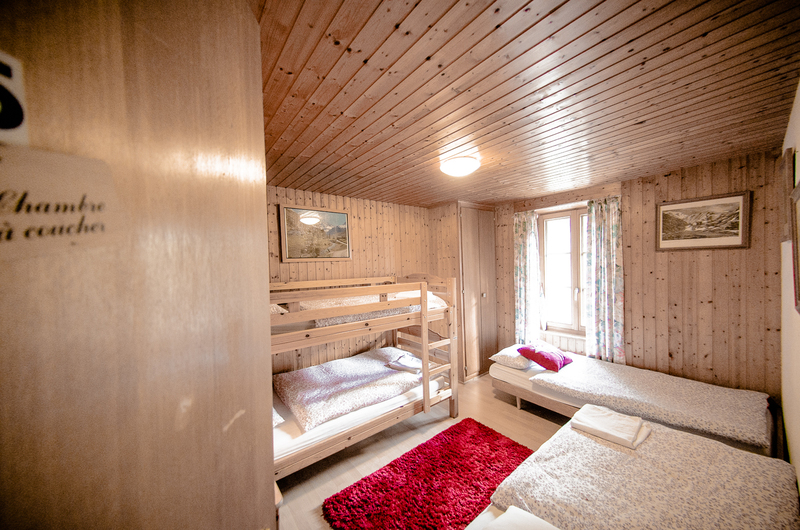 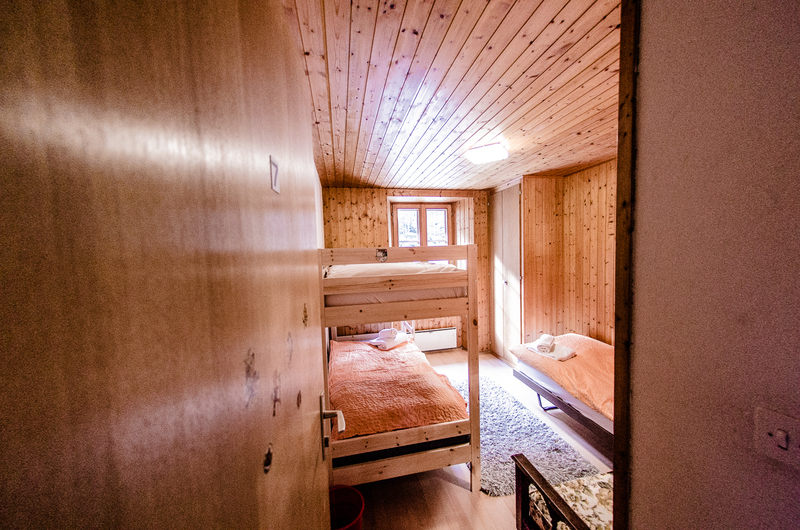 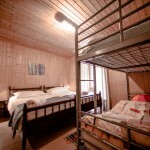 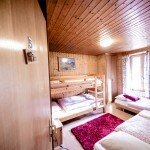 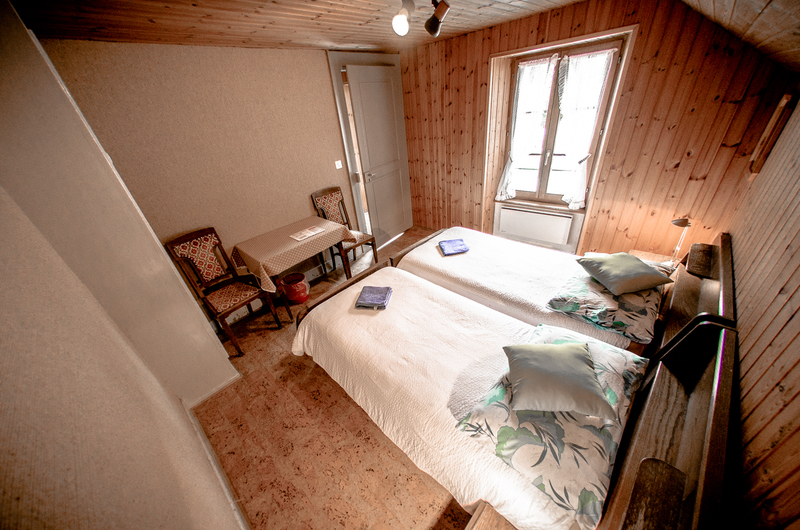 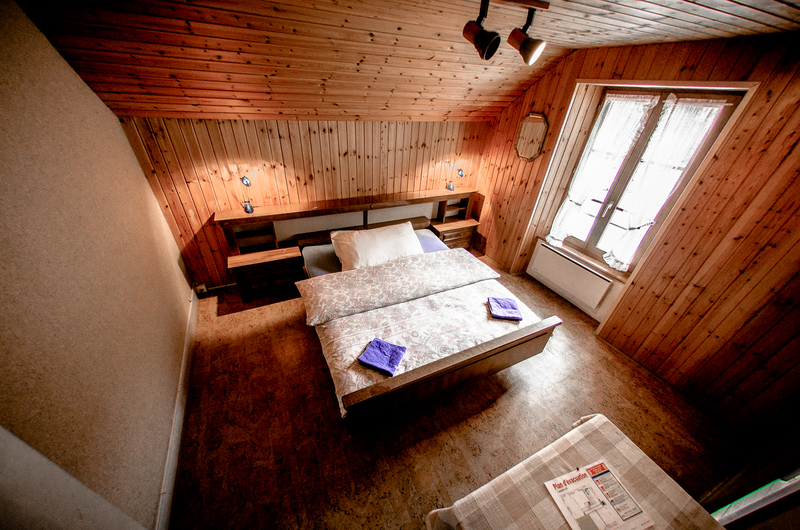 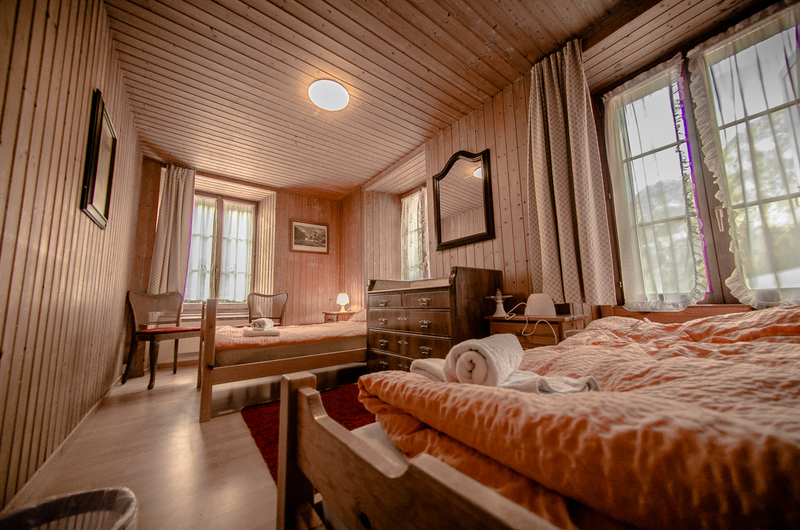 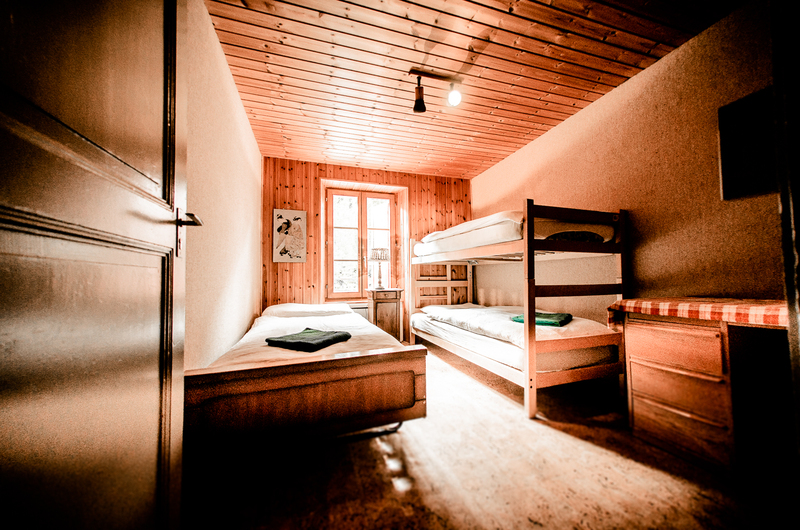 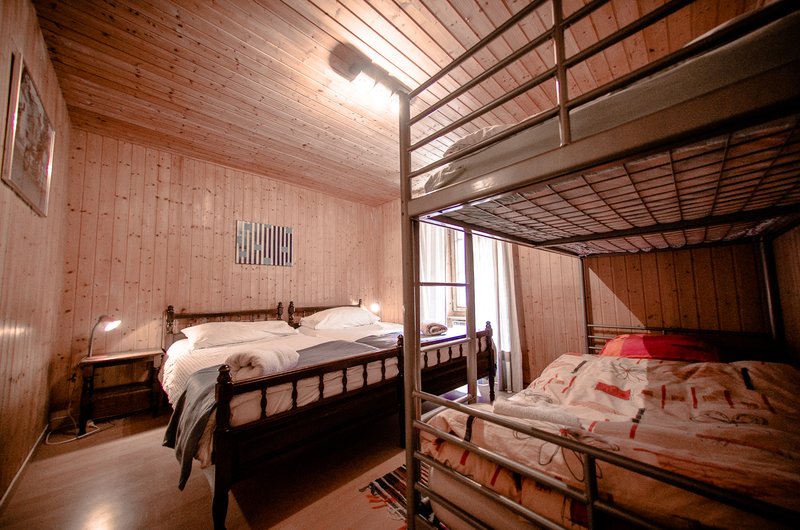 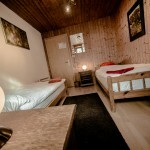 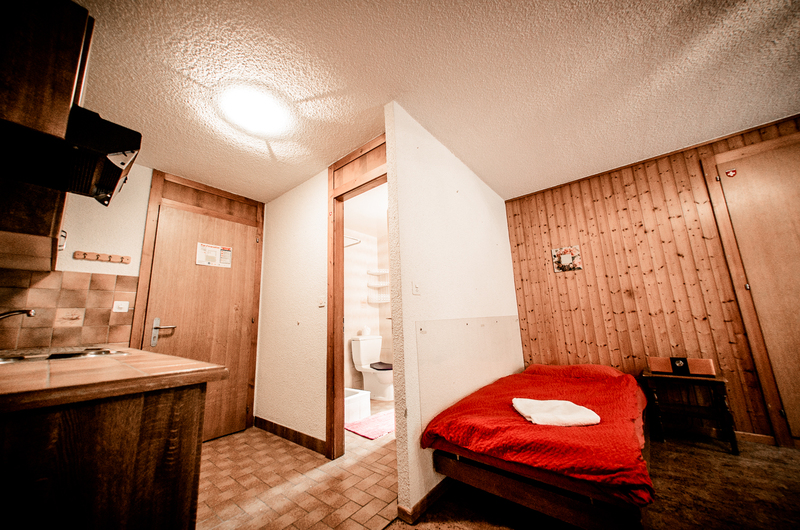 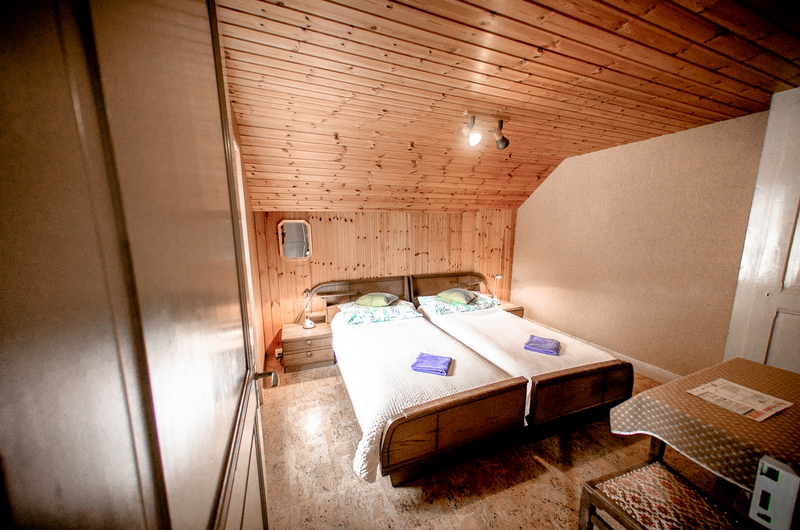 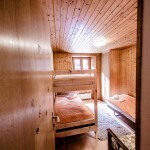 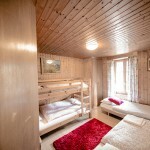 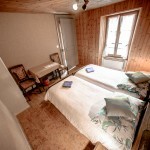 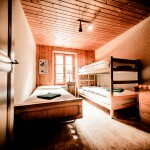 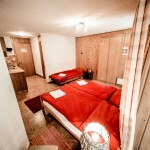 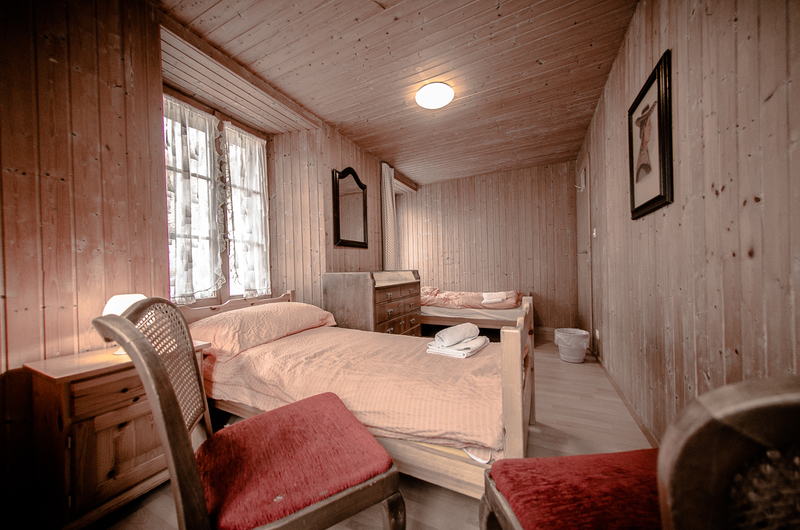 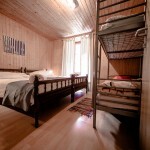 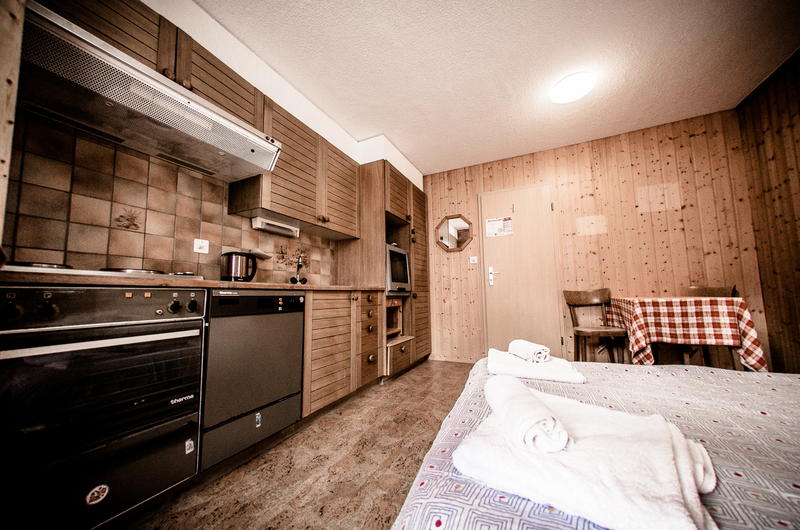 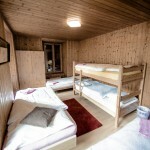 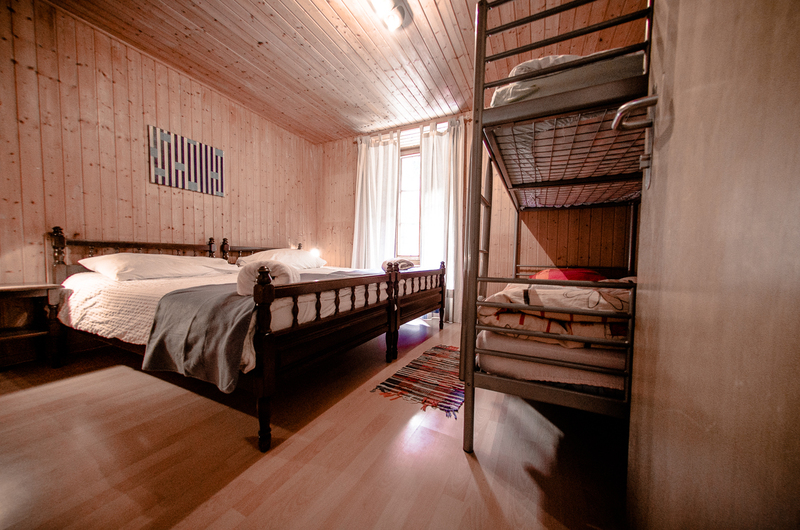 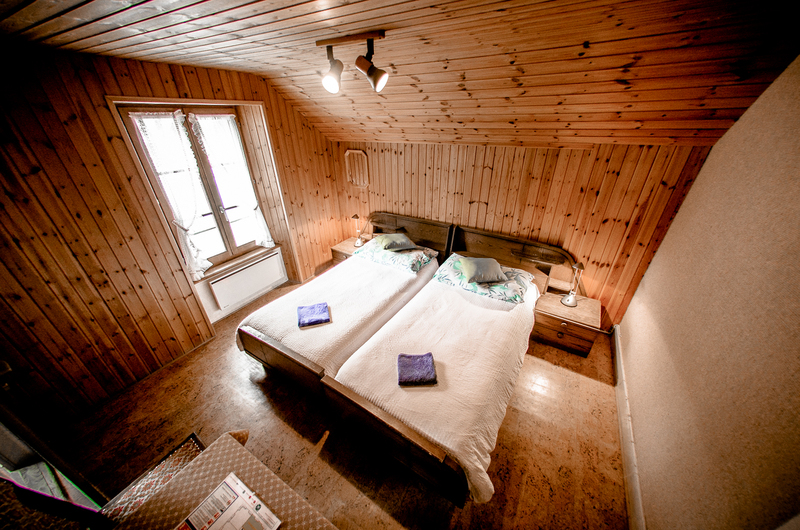 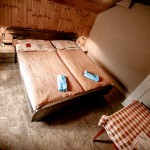 The bedrooms for 3 are available in several configurations. 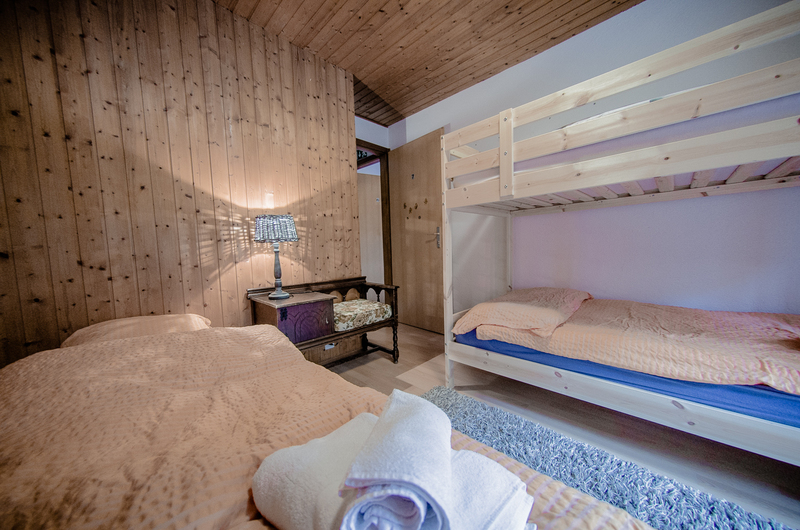 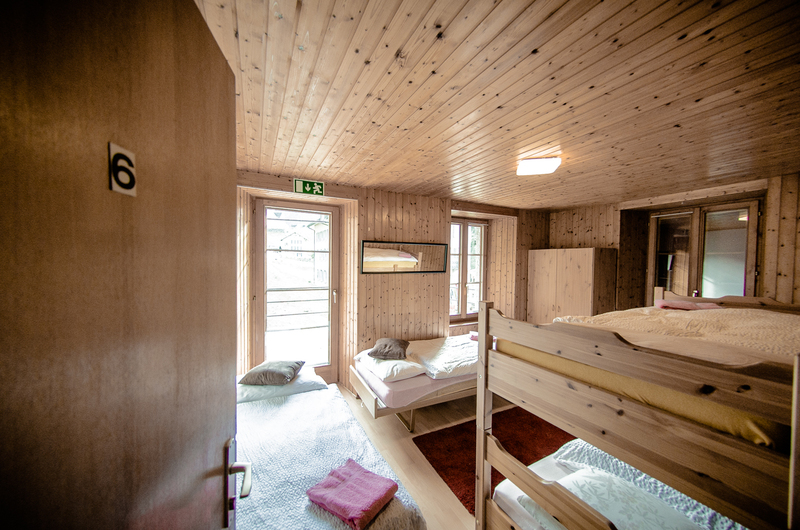 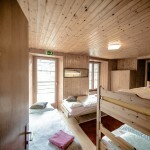 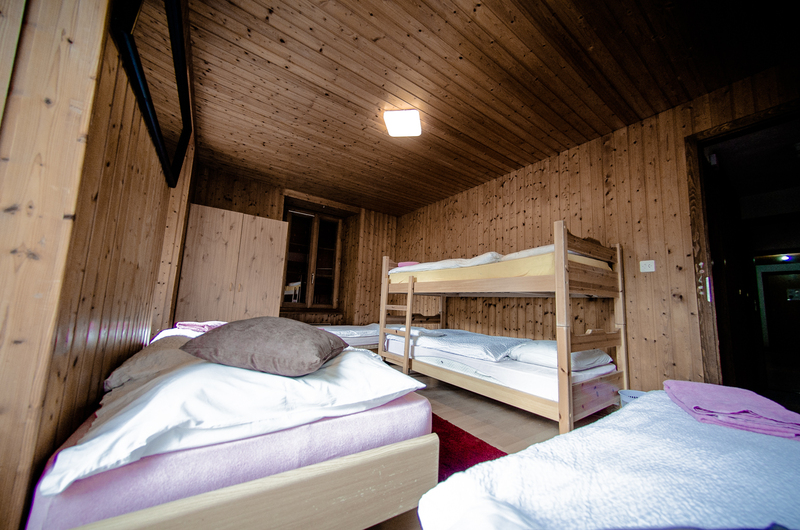 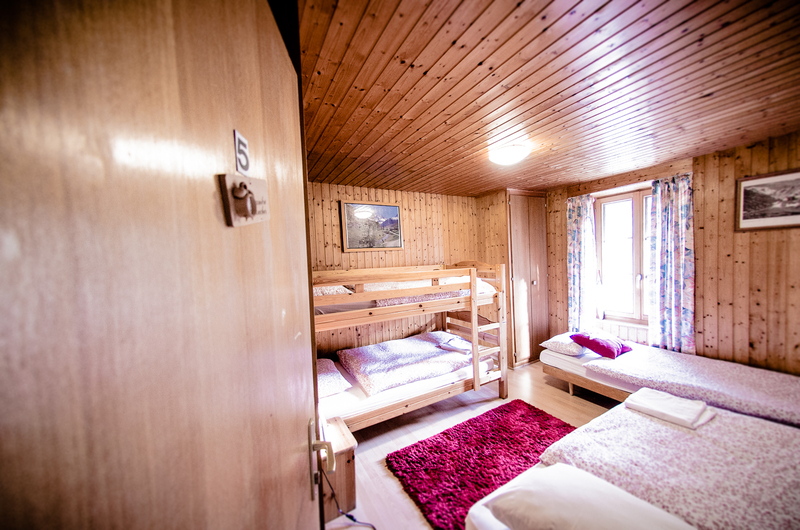 The bedrooms for 4 are available in several configurations. 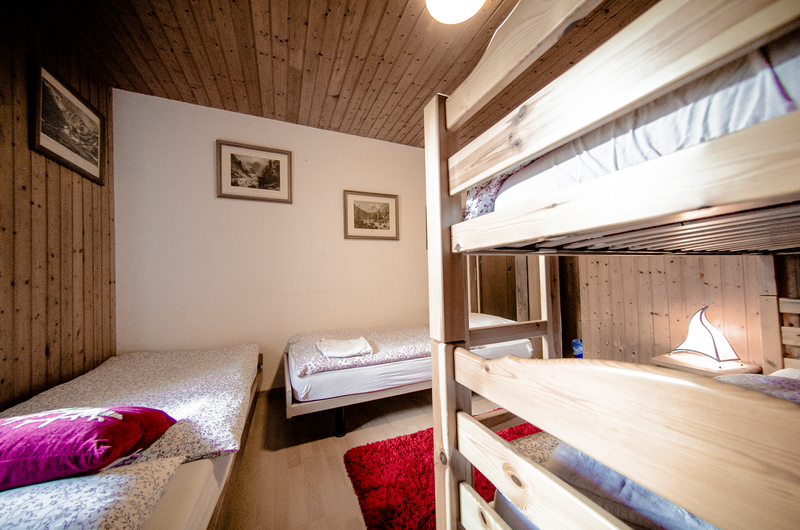 The bedrooms for 5 are available in several configurations. 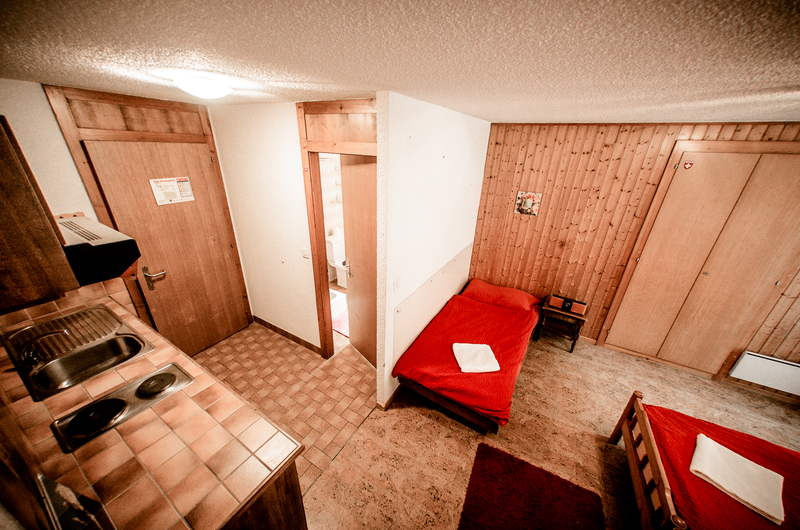 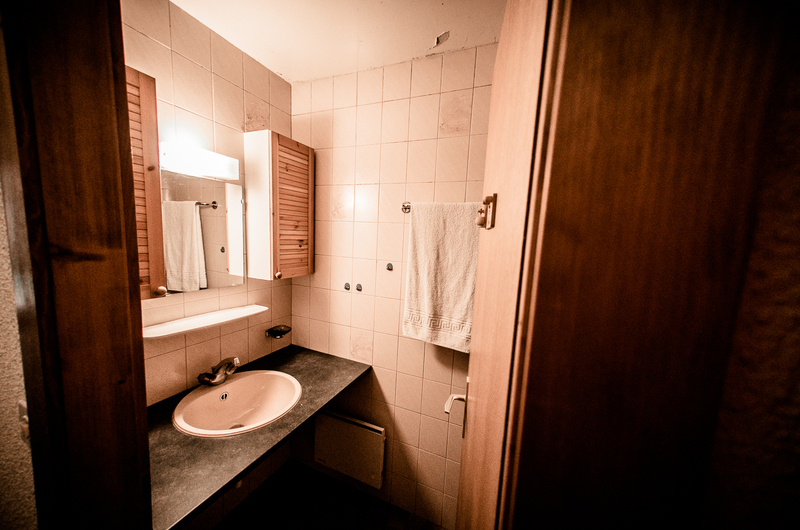 The studios have private kitchen and bathrooms.